A 15.6-inch laptop tested with Windows 10 Home, an AMD A9-9420 3GHz processor, 8GB of memory, AMD Radeon R5 Graphics graphics, a touchscreen, and a 1TB hard drive. 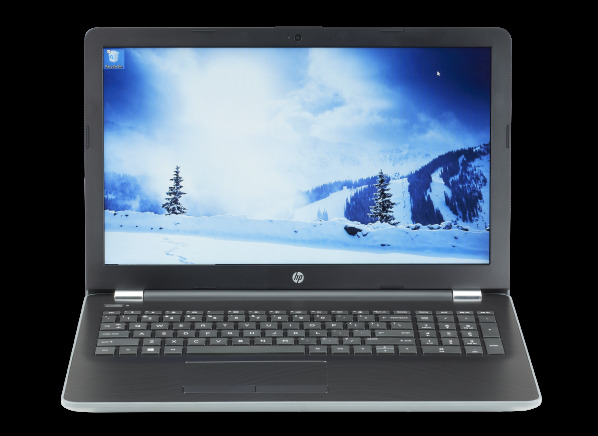 The HP 15-BW030NR is a 15.6-inch with a screen resolution of 1366 x 768. It has 8GB of memory and a 1TB hard drive. It has an AMD A9-9420 3GHz processor and an integrated AMD Radeon R5 Graphics video adapter. It includes a CD/DVD burner. It was tested with Windows 10 Home installed. It has a touch screen, 3 full-size USB ports built-in on the laptop. Video outputs include: an HDMI full-size port. It supports WiFi 802.11ac, so it's compatible with the latest high-speed routers. It has a 0.9MP webcam for video conferencing. The HP 15-BW030NR measures 14.9 inches wide by 10 inches deep by 1.1 inches high, and it weighs 4.5 lbs.